Her curls are divine!! Love this, Melissa! Oh my word, I love this!! 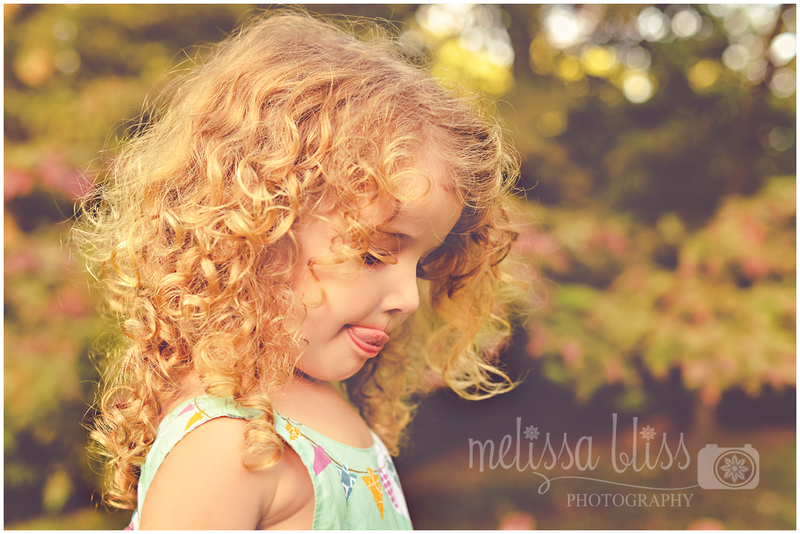 Her hair, those curls, that tongue....what a great capture! There are not enough superlatives to describe how beautiful this is, Melissa. Simply perfection.